Açıklama : No place on Earth was safe. Four billion years ago, during the Hadean eon, our Solar System was a dangerous shooting gallery of large and dangerous rocks and ice chunks. Recent examination of lunar and Earth bombardment data indicate that the entire surface of the Earth underwent piecemeal upheavals, hiding our globe's ancient geologic history, and creating a battered world with no remaining familiar land masses. The rain of devastation made it difficult for any life to survive, although bacteria that could endure high temperatures had the best chance. Oceans thought to have formed during this epoch would boil away after particularly heavy impacts, only to reform again. 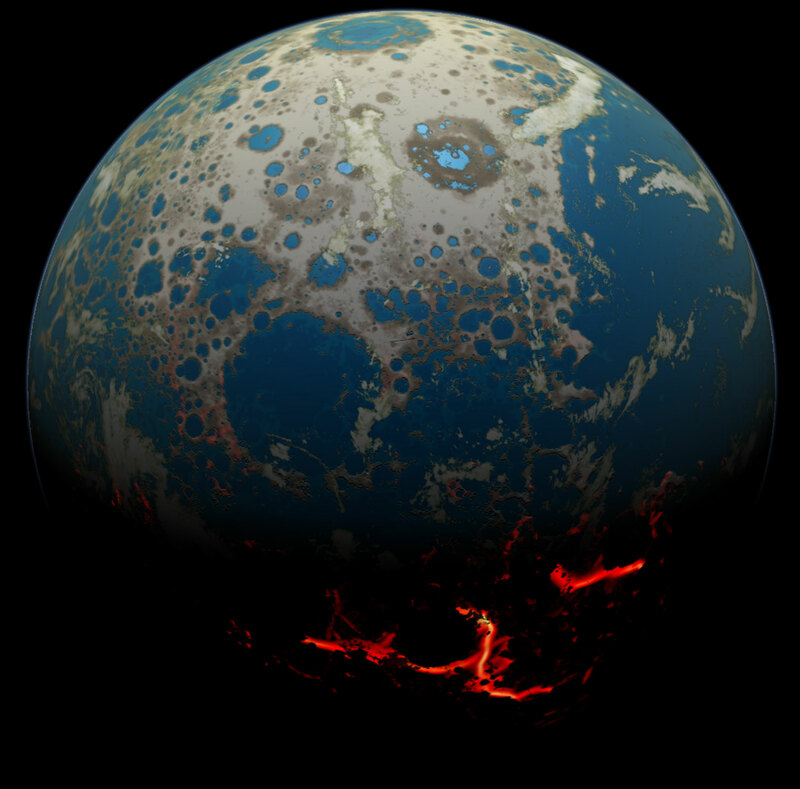 The above artist's illustration depicts how Earth might have looked during this epoch, with circular impact features dotting the daylight side, and hot lava flows visible in the night. One billion years later, in a calmer Solar System, Earth's first supercontinent formed.